As I mentioned in my previous post, I’ve recently found myself preoccupied with the idea of endings. There have been a lot of them over the past two years – I left my PhD programme, I left my country. It’s required acceptance of the fact that goodbyes and new beginnings often go hand-in-hand. These reflections have intertwined themselves quite naturally with the books that I’ve been reading. Novels about grief and loss have been a major feature of my reading patterns over the past few months – from the very human experience of displacement reflected in Banana Yoshimoto’s Kitchen, to the raw exploration of death’s finality in Lincoln in the Bardo by George Saunders. While all of this, admittedly quite difficult, reading has left me somewhat emotionally bewildered, I’m incredibly grateful for it. Taking the time to grapple with multiple perspectives on what it means to encounter finality has been immensely useful in helping me to understand my own reaction to the numerous endings that I’ve encountered over recent years. Saying goodbye is no easy thing, yet we all do it on a daily basis. The very act of reading acquaints us with finality. If, like me, you’ve ever finished a book and felt bereft in the knowledge that it’s over (looking at you Harry Potter and the Deathly Hallows) then you understand, even on this small scale, how an ending can make you feel. Yet, a well-crafted ending can simultaneously leave you with a profound understanding of your own place in the world. The best literary works are those that speak to some universal human experience. This universality is how books written in the 1800s can feel relevant to us, even as we read them in a world that is so dramatically altered. While a good ending is by no means a necessity to great literature, it is typically the case that our most memorable literary experiences are with those books that perfectly encapsulate their own purpose in the final pages. Since writing my post on Monday, I’ve been thinking about my favourite endings in literature and wondering what exactly it is that has enabled them to make such a profound impression. Today, I wanted to write about one of my favourites – the final paragraphs of F. Scott Fitzgerald’s The Great Gatsby – and try to distil exactly why its ending has the impact that it does. With my first experience of reading The Great Gatsby, this was truly the part of the novel that impacted me the most. I think this also speaks to precisely why the novel is such an important one to read in your mid- to late-teens. It is an age lived very much in anticipation, of dreams and plans yet to be enacted or fulfilled. To my much younger self, the idea that someone could to devote themselves so singularly to the pursuit of their vision and fail so spectacularly was incredibly problematic. The lack of sincerity or real attachment on the part of the ‘friends’ that had surrounded Gatsby throughout his life was also a challenging turn. Interpretations vary on exactly how we should ingest this parting message. Given the trajectory of the book’s final pages, many read this as a fatalistic warning against the inevitability of the way that life continually sweeps us backwards. As with Gatsby’s mistake, we are all persuaded to revisit the past. However, my interpretation of these closing lines has not changed since I first read the book so many years ago. We are all condemned, by life’s unstoppable flow, to living in the shadow of our memories. There is an ever-present temptation to try to do-over past mistakes, recapture past glories, and spend our time preoccupied with what should have or could have been. In the face of this, however, is the strength that it takes to continue forward, resisting the inevitable – and sometimes unstoppable – pull backwards. Gatsby’s mistake, in comparison, is an obsession with the past that will not allow him to fully live in the present or work for a sustainable, unique future. Read in this light, it seems to me that the emptiness of the various deaths that occur at the end of The Great Gatsby is necessary. It allows Fitzgerald to pursue his diverse agendas regarding money and the American Dream (how many high school essays have been written on this topic? ), whilst also giving far more strength to his closing lines. The inevitability with which Gatsby got swept away in his obsessions and with which we all end up preoccupied with our own pasts does not prevent us trying to “run faster, stretch out our arms farther.” Nor does it stop us attempting to fight forward, even as life tries “ceaselessly” to sweep us back. 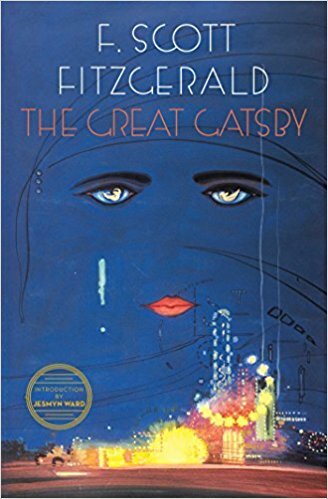 Although interpretations vary – as they do and should with any novel – my reading of The Great Gatsby‘s ending is that it both universalises Gatsby’s experience and encourages us in our, sometimes futile, attempts to carve a path forward for ourselves. With my current preoccupations regarding the life that I’ve left behind in the UK, I’m not sure that any ending in literature could speak to me more fully right now than that of Fitzgerald’s masterpiece. This is, of course, just one of many incredible endings in literature. I’d love to hear about some of your favourite literary endings! What makes them so memorable? Leave a comment on this post or catch me on Twitter, and let me know your thoughts.